How are your New Year’s resolutions going? I kept mine simple so it’s hard to fail. 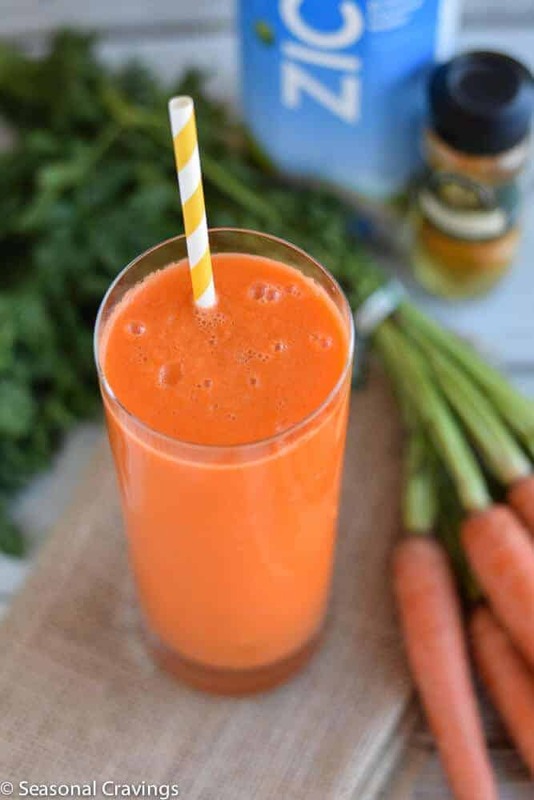 If your resolution was to eat more veggies, I’ve got a smoothie for you. Most importantly, it’s not green! Nothing against green smoothies but sometimes we need something different. 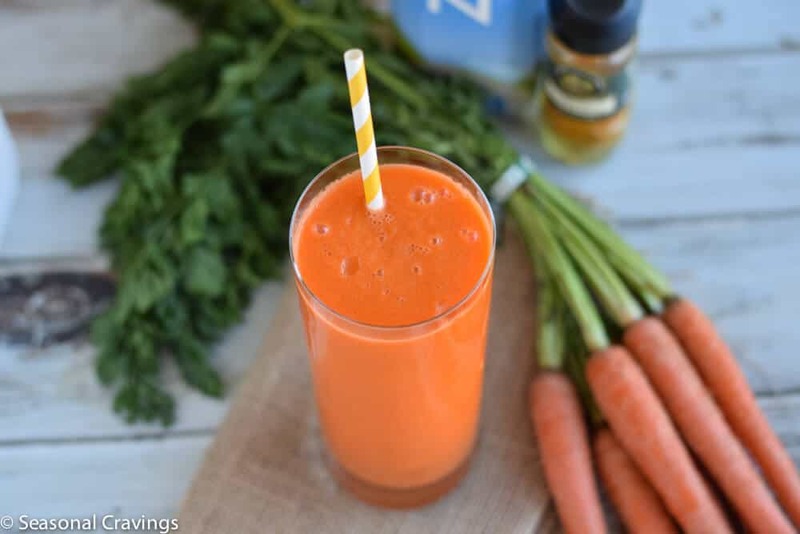 This Carrot, Apple and Turmeric Smoothie is so beautiful, it will brighten your morning. Carrots, apples and turmeric go so well together like in this Sheet Pan Chicken with Turmeric or in this Roasted Carrot Turmeric Soup from Love and Lemons. 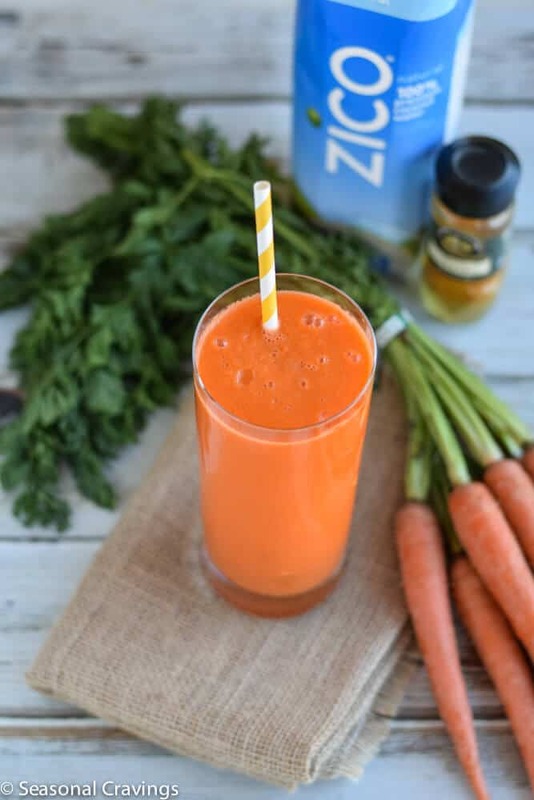 Carrots are full of the antioxidant beta-carotene so you can feel good about starting your day with this. Or you can choose to have it as your afternoon snack. This is not a high protein smoothie so it won’t fill you up. It’s a great way to avoid the munchies in that tough 3:00-5:00 time period. Need More Smoothies to Get You Through the Afternoon? I always have coconut water on hand to toss into smoothies. 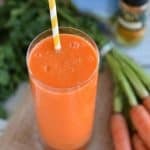 It’s a great way to thin it out to the perfect consistency while adding electrolytes and potassium. 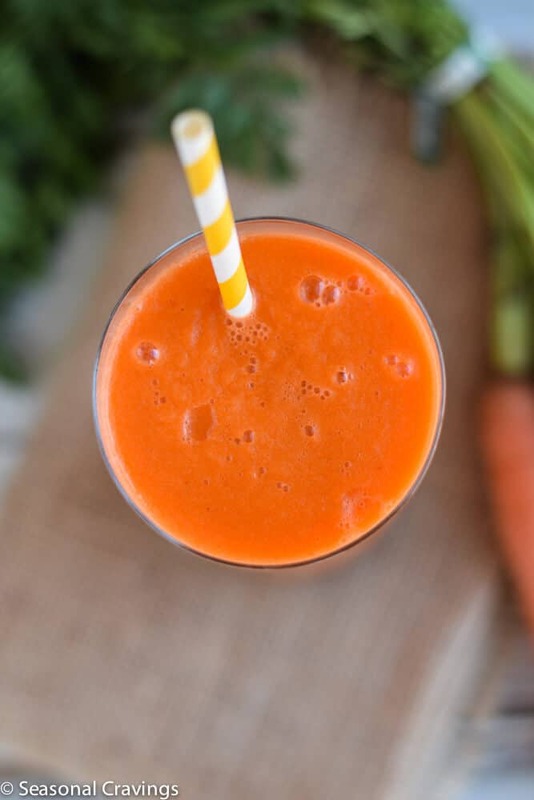 This Carrot and Apple Smoothie will get you started off on the right foot. 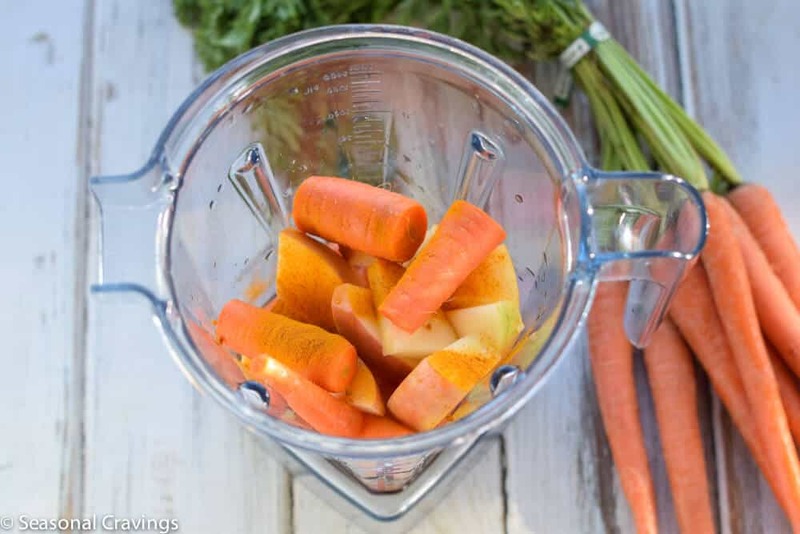 Mix all ingredients in a high-powered blender. If the smoothie is too thick add more coconut water. If it's too thin add another cube of ice or another carrot. You are welcome Mahy! Hope you like it.